If you wish you had the power to design your perfect smile, dental veneers may be the answer. The skilled team of cosmetic and general dentists at Dental Studio at Rosslyn in Arlington, Virginia offer veneers to improve many types of dental imperfections. Whether you have discolorations or gaps in your teeth, this team of skilled dentists can help. Call or book an appointment online today. Dental veneers enhance your smile by correcting various tooth imperfections. They’re thin, wafer-like pieces of porcelain that cover the surface of your tooth. An expert cosmetic dentist at Dental Studio at Rosslyn fully customizes your veneers to look just like natural teeth, only better. Porcelain veneers provide the strength and resilience of natural tooth enamel while instantly revitalizing your smile with evenly shaped, spaced, and colored teeth. Veneers have been used for decades and are among the most popular and well-established procedures in cosmetic dentistry. How do veneers improve your smile? First, a member of the highly-skilled team at Dental Studio at Rosslyn evaluates your teeth to determine whether you’re a good candidate for veneers. Since veneers are permanent, they make sure you’re 100% confident this is the right treatment for you. The friendly team is happy to answer any questions you may have before the procedure. Then, they develop a personalized treatment plan based on your cosmetic concerns and desires. They thoroughly assess your skin tone and tooth color to design veneers that enhance your naturally beautiful smile. 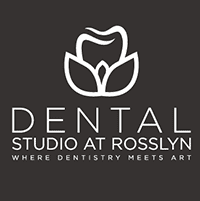 During the procedure, a member of Dental Studio at Rosslyn’s expert team begins by numbing the treatment area. Then, they prepare your teeth to receive the veneers by carefully removing about half a millimeter of enamel from the surface of your teeth. They do this to compensate for the veneer, which is the exact thickness of the removed enamel. Then, they place the veneers on your teeth and permanently bond them into place. After that, you’re ready to flaunt your radiant new smile. To find out if you’re a good candidate for dental veneers, call Dental Studio at Rosslyn or book an appointment online today.